MAUS Business Systems is proud to announce a joint seminar in Malaysia. Peter Hickey, along side Dr.Fakhrul Anwar Zainol & Assoc. Prof. Dr. Zulhamri Abdhullah will introduce the Accredited Partner Program to business owners, accountants, consultants, lecturers, bankers and industry practitioners in Malaysia. 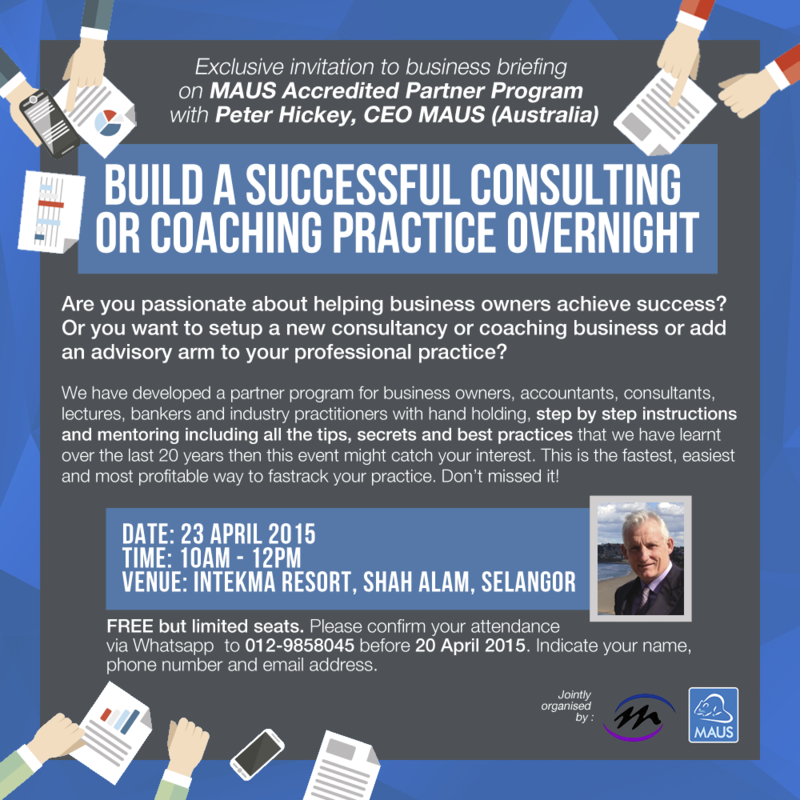 Malaysia has recognized MAUS as being a world leader in helping consultants and accountants build a successful consulting or coaching practice.